A Hardship Authorization Request must be submitted to ORSP via the eResearch Proposal Management system. What is a hardship (also known as an "advance account")? A hardship (sometimes referred to as an "advance account") is used when you need to spend funds but have not yet received your award. At U-M, a project/grant (P/G) number is set up at the time of an award. With a hardship, the P/G number needs be established prior to the actual receipt of a final award document, allowing work to begin and costs to be properly allocated. There is a delay in the award process. There is reasonable certainty that the award will be forthcoming, as determined by the requesting unit. Necessary expenditures will be allowable under the anticipated award terms and start/end dates. The unit requests the hardship, and the unit is financially responsible if for any reason the resulting award does not cover the costs incurred during the hardship period. For this reason, units should do their due diligence and assess their risk exposure prior to requesting a hardship. Units should also be aware that the sponsor will not be invoiced during the hardship period. If you believe the sponsor expects an invoice, please alert your ORSP project representative before processing the hardship request. How does the unit request the hardship? A Hardship Authorization Request must be submitted to ORSP via the hardship request procedure in the eResearch Proposal Management (eRPM) system. A brief description of the need. Project teams do not need to provide evidence that sponsor funding is forthcoming. Period of hardship (start and end dates) to be established at the direction of the requesting unit. A budget by direct and indirect costs, including the applicable indirect cost rate and basis (i.e., Total Direct Costs or Modified Total Direct Costs), consistent with the submitted proposal and any known sponsor requirements. U-M Principal Investigator (or designate). Department/Unit (to acknowledge there is a risk that an acceptable formal award might not be forthcoming to cover the expenses incurred). How does a hardship get approved? All conflicts of interest have been resolved or managed, if applicable. All applicable PEERRS training requirements have been met. 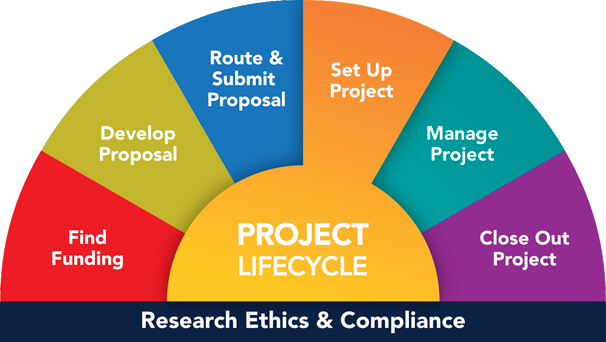 In addition, ORSP will advise the requesting unit of any potential restrictions on openness that would require a Publication Request - Project Team Impact in the Agreement Acceptance Review process in eRPM under SPG 303.01, if known at the time of the request, and will only proceed with the hardship authorization with the appropriate approval in place. Any changes in the applicability or status of the above compliance factors must be reported immediately to the responsible ORSP PR. ORSP reserves the right to revoke a hardship if a previously unidentified compliance factor is reported to be newly applicable. Federal sanctions may also apply. Again, the unit requesting the hardship is financially responsible if for some reason an acceptable agreement/award that authorizes funding during the hardship period is not received. eResearch Training - Hardship Requests Instructions on how to request a hardship using the eResearch Proposal Management System (eRPM). Contact the appropriate ORSP Project Representative if you have any questions regarding your hardship request.